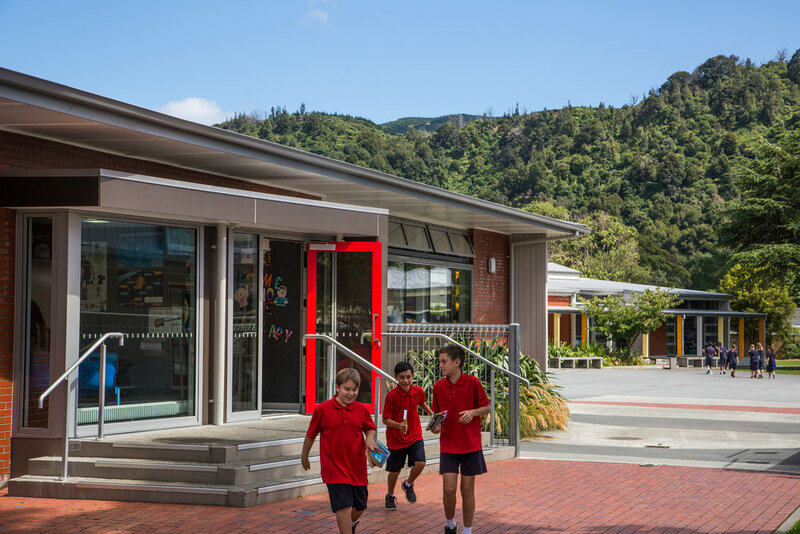 How can a school provide the best learning environment and connect with its students, community and environment? 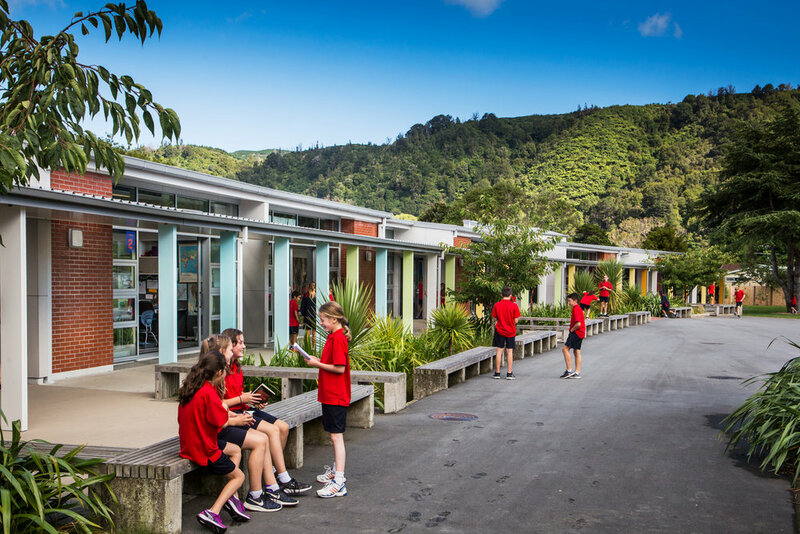 Creating a master plan for a school’s future development presents a powerful opportunity to consider the big picture and deliver on these aspirations. Fergusson Intermediate School’s outdated 1960’s design was no longer meeting its teaching and learning needs. 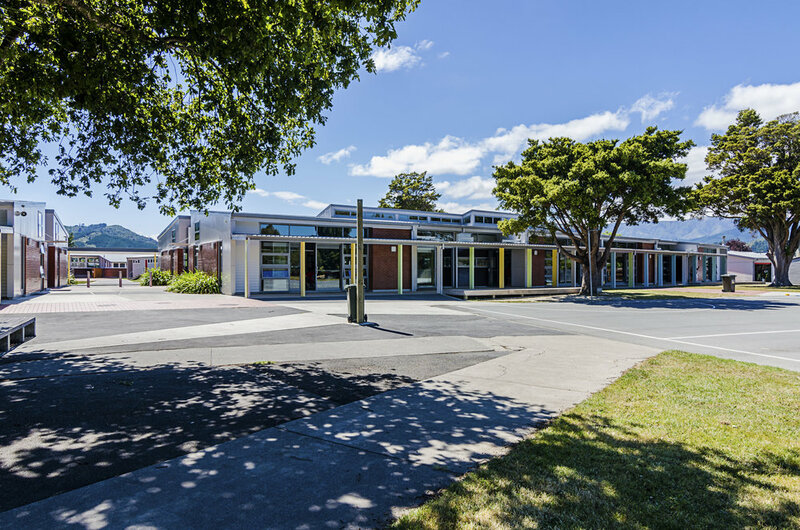 The Board asked us to create a redevelopment master plan that would update the school’s learning spaces and build a strong sense of connection – not only between the students and teachers, but also within the buildings, the spaces between them and the complete site. Their vision was a school-wide learning environment. Our design was centred on a curved spine of learning spaces, all flexible-use offering multiple opportunities according to teaching and learning requirements. All open directly to the outdoors, breaking down the barrier between classroom and recreation spaces. Landscaping formed an important part of the school’s overall design, for example rain gardens were developed adjacent to learning spaces creating an immediate connection to the outdoors. Colour also played a strong role in the overall design. A system of interior colour-coding provided students with an identifiable and unique home base identity, and a coherent colour palette implemented over the whole school integrated the new and old structures. Staged over six years, this significant redevelopment involved the demolition of 16 old classrooms and construction of 12 new teaching spaces. Careful planning, effective communications and attentive construction management all contributed to minimizing disruption to students and staff over this period. The redevelopment has been enthusiastically embraced by the school. 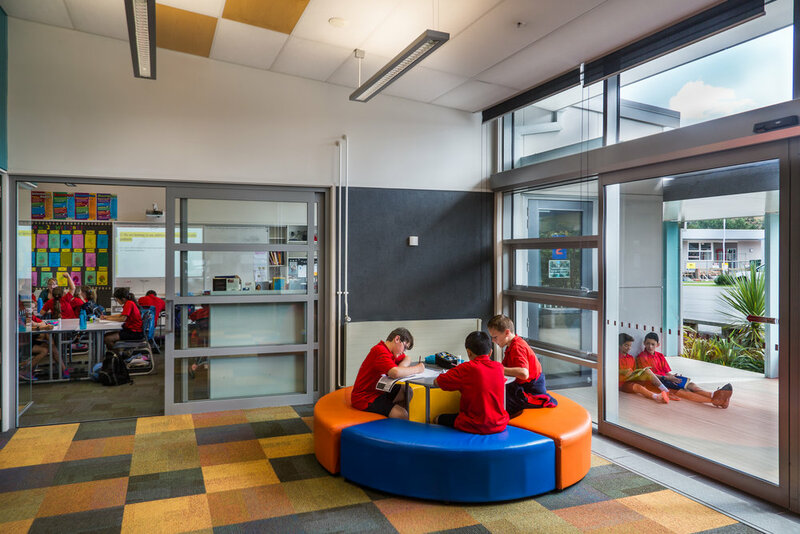 As envisaged, the built and natural elements work together as one cohesive sociable learning environment.